I’d love for you to follow this topic as a spectator and to cheer for the dude you want to win--Mike the underdog of course--as this challenge advances. Goal: Achieve the highest chin up reps. Reward: Victor gets bragging rights and saves themselves from much public embarrassment. The Nerd Fitness Men's Academy Facebook page. The Rings and Handstands Facebook page. Bonus! Victor holds the rights to the video and may share as they please mwahahah! A link to a video of their max chin-ups for the week must be posted in this forum ﻿every Wednesday. On March 10, each competitor will post the link to their final video of them do﻿ing their max chin-ups. 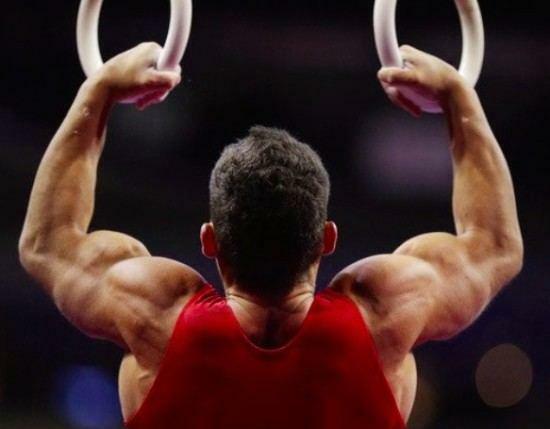 The competitor with the most clean chin-ups is the victor. May the strongest man win! Glad you’re interested! I’m willing to be flexible if we needed to modify to individual goals for you to challenge me. If I don’t get any takers soon, I’ll reach out to you about that. Regardless come back as a spectator to watch the challenge progress and spread the word. Jim Bathurst Nice work man! At the end of my last clean rep, I've been holding at the top for 10 sec, then the middle for 10 sec, then the bottom (arms still flexed) for 10, then bar hang for 10. That sure as heck builds up the endurance! Also, last name is pronounced like "bath""hurst" as in take a bath. 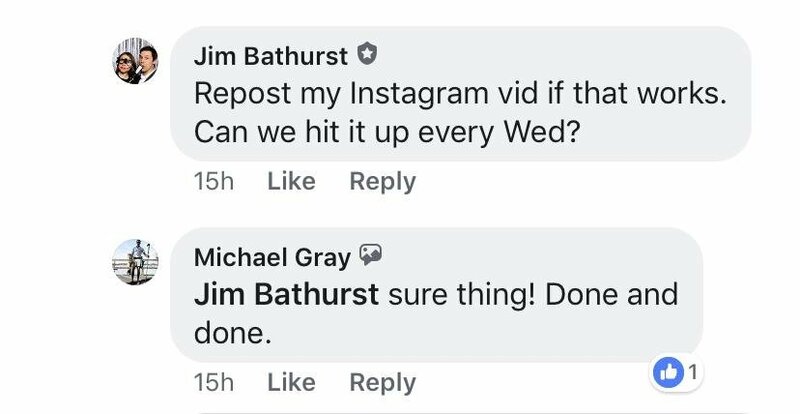 Michael Gray Jim Bathurst ah thanks man. I’ll apply some of those tips. So, even though the odds are against me, I’d be honored if you’d take the challenge. I’m a determined lil guy and may surprise you. What do you say? Will you be my first 1v1 challenger? Thanks. Feels good to get rolling. Rest days are gonna be tough, but I'm thinking i'll take one every fourth day since I"m doing bodyweight. Best of luck! Make sure you take care of those elbows. Thanks! I never thought about my elbows lol. They got roughed up wrestling last week...oh do you mean because I'm bending them to do the chin ups? Gotcha. Yeah man, keep rooting for me! Jim doesn't need any encouragement lol. Stopping by to root on a local Nerd! I'm actually working on ring rows right now to get my elbows unwhack, but can't wait to see how you do! Rock out! Stopping by to root on a local Nerd﻿! I'm actually working on ring rows right now to get ﻿my elbows unwhack, but can't wait to see how you do! Rock out! Awesome! Thanks bro! Are you doing regular ring rows or the false grip ones? What'd you do to your elbow? Regular rows right now but with an emphasis on rotation from pronation to neutral. I picked up a case of golfer's elbow, and while the pull ups didn't cause it I've been working regressions to strengthen that whole area up. I had to look up pronation to neutra lol. Good plan. I'd call that 11 chin ups! Well done! I’ll take it! It was unprepared too, so I’ve got a lot more in me than that. Alright here’s my first midweek Max. Will see if Jim is posting one or if he’s waiting until Saturday. Maybe that was 14? And I don’t believe I went al the way down, but I can do 15, so that’s what we’re gonna count lol. So I just figured out that this topic belongs under PVP. Too late! It was funny because I thought the PVP was divided by class so that’s why I posted here and I was like...it’s mostly personal goal setting...I wonder if I’m in the right place? I read the forum rules and all that but just didn’t put together that the four week challenge isn’t all PVP. I now understand! I’ve moved the whole post to PVP and will update there. Thanks for your patience my Assassin friends! So to increase chin ups I’ve been focusing on increasing total volume throughout the day. Wed I did 75 total chin-ups, Thurs was 100, Fri was 125. Today is a rest day. Tomorrow I’m going to aim for 50-75 but with 10 second holds after every 5 reps.